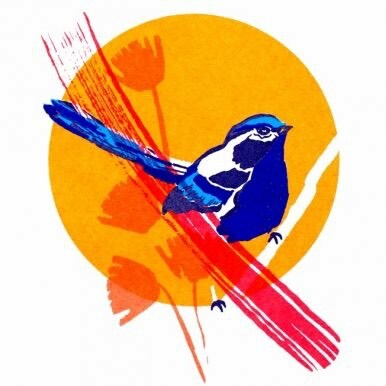 Caitlin Parks is a London based illustrator and printmaker creating work in her west London studio. It is through the exciting and ever changing process of printmaking that her work has developed, learning from accidents, experiments and new ideas. 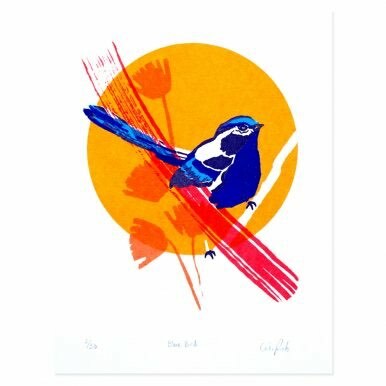 All of her work is hand printed as limited edition screen or lino prints. Driven by the world around us and our impact on it, Caitlin’s work plays with both traditional and digital techniques which come together through silk screen printing. Inspired by narratives and nature, she uses both drawing, photography and collage to create vivid work that is full of life and colour.